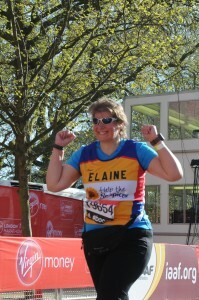 Despite being several stones overweight, I have taken part in several events. I have done a handful of triathons and now have found, much to my surprise, that I enjoy running. I am a back of the packer, hence The Wooden Spoon moniker. I am an enthusiastic parkrunner who is making my way towards the converted 50 tee shirt. I have also completed two half marathons and one marathon. My aim is to lose the lard and get fitter and faster. Cheers, may do that! Spam is a problem.